BEIRUT — Chicago-based Boeing and state-owned Saudi Arabian Military Industries (SAMI) signed on March 30 a memorandum of agreement (MoA) to develop a new joint venture aiming to localize more than 55 percent of the maintenance, repair and overhaul services for fixed and rotary-wing military aircraft in the Kingdom. According to a Boeing statement, the joint venture is expected to post revenues in excess of $22 billion by 2030 and create 6,000 jobs and training opportunities for Saudi youth. A total of $450 million will be invested in facilities and equipment in Saudi Arabia. A day after a White House visit from Saudi Arabian Crown Prince Mohammad bin Salman, the State Department has approved a sale of more than 6,000 Raytheon TOW-2 anti-tank missiles, worth $670 million, to the Middle Eastern country. The joint venture will also support the ambitious Vision 2030 plan, while strengthening the Kingdom’s defense capabilities and enhancing its deterrent potential. In addition, the agreement will transfer technology to install weaponry on the aircraft as well as localize the supply chain for spare parts in the Kingdom. “The SAMI-Boeing JV provides a unique opportunity to accelerate localization through Boeing’s strong local presence and relationships, SAMI’s leadership role in Vision 2030 aerospace localization, Boeing’s existing KSA joint ventures, the large KSA installed base of military systems and Boeing’s unparalleled services capabilities,” Day added. SAMI is a relatively new government-owned military industries firm focusing on air and land systems, weaponry, missiles, and defense electronics. 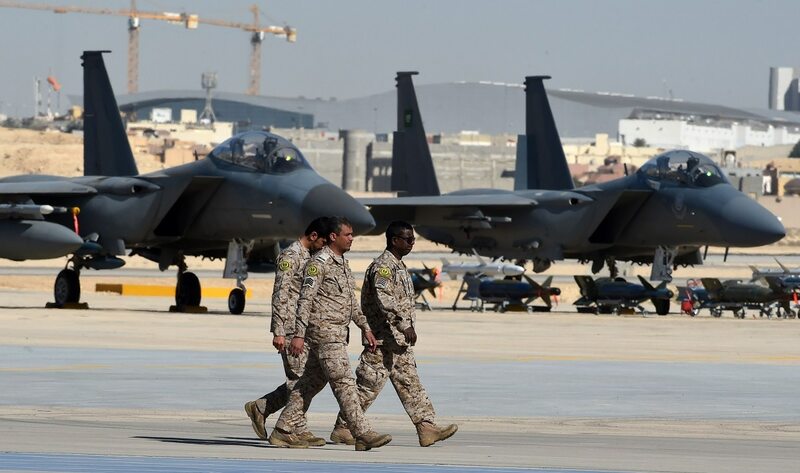 The goal is expansion of Saudi Arabia’s gross domestic product and domestic job opportunities in engineering and technology, by localizing more than 50 percent of the Kingdom’s military spending by 2030. The creation of SAMI was announced in May 2017. The 100 percent government-owned entity aims to become one of the world’s top 25 defense companies by 2030. “In addition to local sustainment capabilities, the inevitable partnership between the two companies could explore the creation of intellectual property as well,” said SAMI CEO Andreas Schwer. Once the MoA is operational, the joint venture will provide a foundation for future platform sales and for expanding Boeing’s presence in the Kingdom to support market growth for both commercial and defense programs. It is worth noting that Boeing’s partnership with Saudi Arabia dates back more than 70 years. It began on February 14, 1945, when U.S. President Franklin Roosevelt presented a twin-engine Dakota DC-3 airplane (manufactured by Boeing’s heritage company Douglas Aircraft) to King Abdulaziz Al Saud. 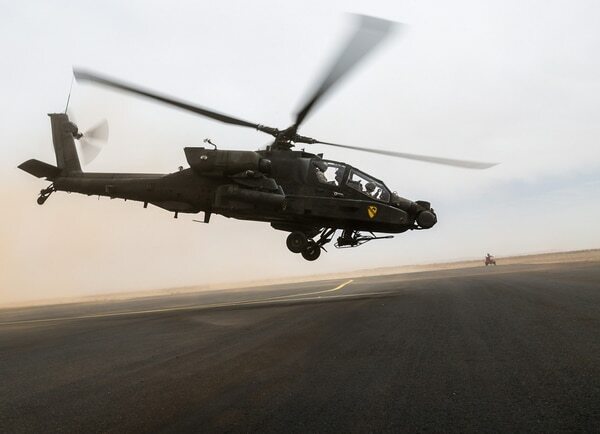 An AH-64 Apache operated by the U.S. Army's 4th Battalion, 227th Attack Reconnaissance Battalion, 42nd Combat Aviation Brigade, and Royal Saudi Land Forces personnel from 1st Battalion, 3rd Aviation Group, takes off at the start of a practice air assault during Exercise Friendship and Iron Hawk 14 on April 12, 2014, near Tabuk, Saudi Arabia. Another milestone dates back to 2015 when Alsalam Aircraft Company, Boeing and Saudi Aerospace Engineering Industries (SAEI) signed an agreement to create the Saudi Rotorcraft Support Company. The joint venture will provide rotorcraft maintenance, repair and overhaul to support the Saudi rotorcraft fleet. “Our main focus will be the after sales support of those airframes doing both aircraft MRO in our facilities in Riyadh and component MRO in our facilities in Jeddah,” he added. Chirine Mouchantaf writes about Middle East defense. In addition to contributing to Defense News, she is assistant managing editor and senior reporter at SDArabia, an Arabic security and defense magazine and website www.sdarabia.com.